Flesheating corpses and an ancient temple discovered beneath London lead authorities to call upon Edward Grey, Queen Victoria's official occult investigator. But the sinister Heliopic Brotherhood of Ra also has interests in the underground ruins. When they ask for Grey?s help, he has to wonder if the threat is great enough to team up with a secret society he?s sworn to destroy. 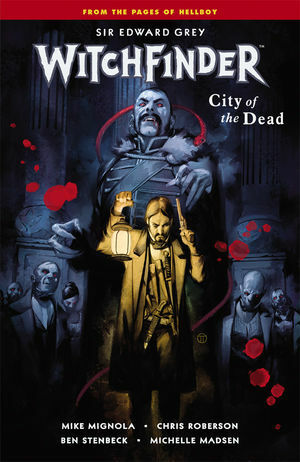 Collects Witchfinder: City of the Dead #1-#5.